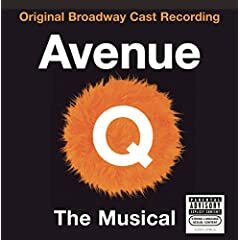 Avenue Q turns 1500! We talk to Jennifer Barnhart talks about puppetry and 1500 performances of "Avenue Q". We interview playwright Adam Rapp about his new play, "Essential Self Defense". We talk to Jennifer Banhart talks about puppetry and 1500 performances of "Avenue Q," and we speak to Pablo Schreiber of "Dying City." We also profile the new play with music, "The Green Game." Plus, Marty gets banned from All That Chat and more! “Essential Self Defense” is about a misfit who takes a job as an attack dummy in a women’s self-defense class, and soon he and his friends have to battle the darkness in their town. The play is described as, “a grim fairy take with generous helpings of rock and roll karaoke. “Essential Self Defense” is playing at Playwrights Horizons through April 15th. For tickets click here. Jennifer made her Broadway debut in “Avenue Q.” Off Broadway she has appeared in “Angels in America,” “Twelfth Night,” and “Rumors.” She has appeared on TV in “Sesame Street,” “The Big Blue House,” and “Book of Pooh.” She received her BFA from the University of Connecticut in acting with a concentration in puppetry. For tickets click here . April 9th- Broadway Bullet friend Daphne Rubin-Vega will be appearing at Joe’s Pub. Listener Chris Moran’s Broadway Bullet Review on Entertainment Spectrum! According to Lincoln Center’s website: Christopher Shinn’s Dying City is an intimate play, set in a spare downtown-Manhattan apartment, depicting the role of historic events that transform the lives of three closely observed characters. Infusing his play with references to the war in Iraq and to 9/11 and its aftermath, Shinn explores the loss of a loved one who has died while on military duty in Iraq, and the repercussions of this death on his wife, Kelly, and identical twin brother, Peter. For ticket click here . This week Marty discusses getting kicked off the All That Chat message board, the new musical The Pirate Queen staring Stephanie J. Block, and the race for the Tony Nominations in the Leading Actress in a Musical category. “The Green Game” is described as a, “beautifully wrought tale, accompanied by a delightful blend of music and extravagant dance routines, is set in a Casablanca-style nightclub; but the story is an epic tragedy” about a US Senator and his family who are destroyed by greed. “The Green Room” is presented by La Muse Venale. La Muse Venale was founded by M. Stefan Strozier and its mission is to produce plays by new American playwrights. “The Green Game” is playing at Theatre 3 from March 29th through April 22nd. For tickets click here.